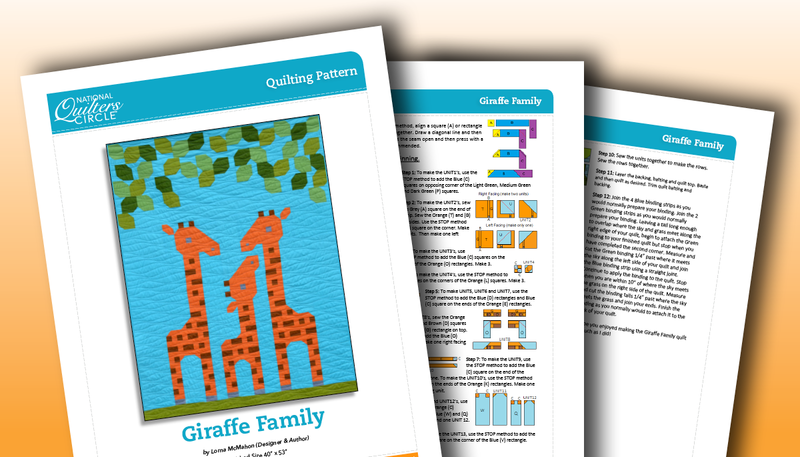 The Giraffe Family of Three is a modern minimalist design with an African theme and features a family of three giraffes made using traditional piecing methods. No templates. 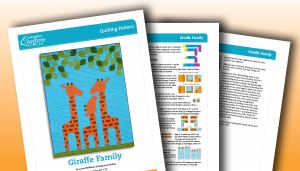 No paper piecing. Only simple straight line sewing and diagonal seams. Easy to follow instructions are provided for every step of the way!